During the summer holidays the school has been as busy as usual – not with children, but with contractors! The two Rising Reception rooms have been amalgamated into one large classroom. 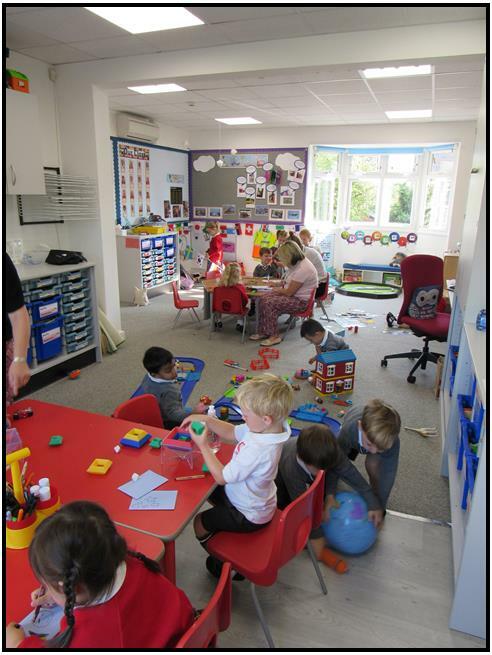 The learning space has been transformed and both the children and teachers are loving it. The staffroom has also undergone a much needed refurbishment, giving us a great place to meet along with some wonderful new storage facilities. If you have a spare couple of minutes during the morning drop – off, do pop in to take a look. I’m sure that you’ll agree that it’s a great job!